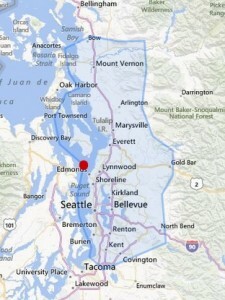 We service all of King and Snohomish counties, portions of Island, Pierce and Skagit. Travel fees may apply. All cities included in the shaded area below are in our service area, including Seattle, Everett, Bellevue, Bothell, Lynnwood, Redmond, Shoreline, Kirkland and more. If you have any questions, please contact us.